Bill is a Specialist in Estates and Trusts Law and was certified as such by the Law Society of Upper Canada 2011. He also practises law in the areas of real estate, corporate/commercial law, corporate reorganizations, along with his wills and estates practice, and advises on estate planning. He has a special interest in the resolution of issues surrounding problem estates and mediation regarding these files. He also participates in litigation files and Administrative Board hearings touching on his specialties. Bill has practised in Midland since 1982. He is a member of the Canadian Bar Association Ontario, the Law Society of Upper Canada, the Simcoe County Law Association, and the Huronia Estate Planning Council. 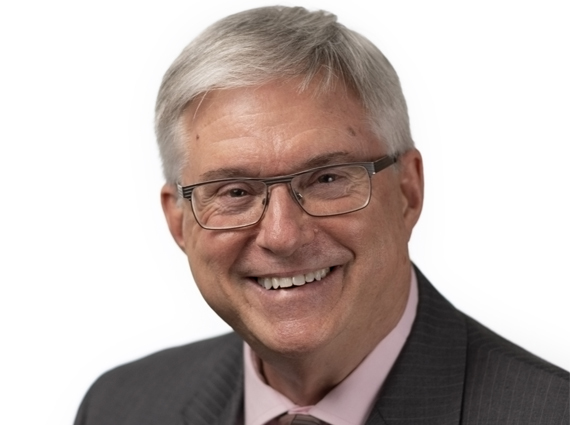 He is an active member in community related projects, such as the Penetanguishene Artistic Tribute to Canada’s Millenium, participates in numerous seminars and talks on varied legal topics, and enjoys appearing as a columnist in newspapers, writing on legal issues. Bill acted on the Board of Monitors for the Minister of Correctional Services in 2001. This Board advises the Minister on the development of the Central North Correctional Centre at Penetanguishene, Ontario. He acts as an appointed Mediator in Civil Court actions, and as a Deputy Judge of the Superior Court of Justice, to which position he was appointed in fall 2000. Bill was raised in Mississauga, Ontario. Prior to turning his interest to law, he was a professional musician, having studied arranging and composition at the Berklee College of Music in Boston. He attended the University of Toronto prior to obtaining his Law Degree at the University of Western Ontario (LL.B. – 1980) and being called to the Bar in 1982. In 1997, he obtained certificates in Alternative Dispute Resolution and Advanced Alternative Dispute Resolution (Mediation and Arbitration) from the University of Windsor. Bill resides in Midland with his wife, Connie. They have two daughters. Along with his family, Bill keeps his hand in music and performs periodically at charitable functions. Bill and Connie participate behind and in front of the scenes in Huronia Players, the local live theatre group.